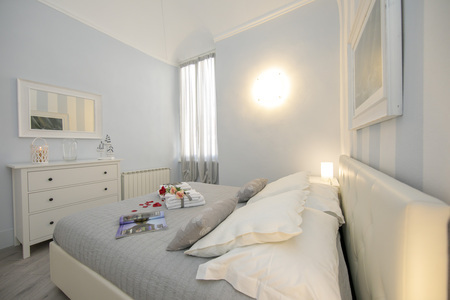 Relax and enjoy this chic and stylish couple-friendly retreat in central Alassio! 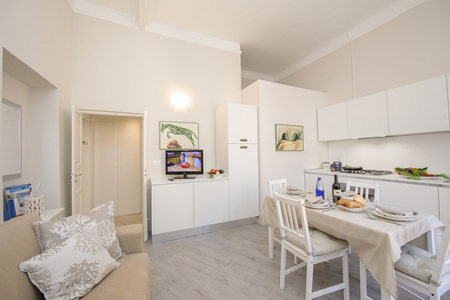 Providing a picture-perfect setting in the charming heart of Alassio, this recently modernized 1-bedroom apartment for 4 provides a modern pet-friendly holiday location, without the need for a car. 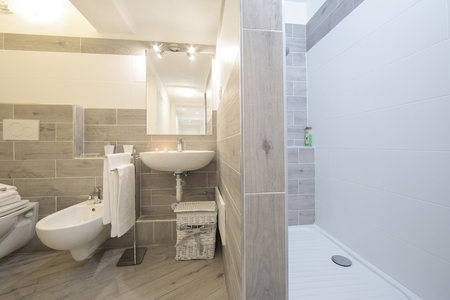 Inside, the 2nd floor apartment oozes a serene and sophisticated ambience. 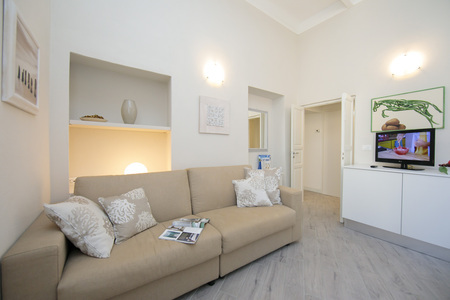 An inviting open plan living area has been decorated in a calming interior palette and benefits from a double sofa bed, a flat screen TV and a stylish modern kitchen diner for 4. 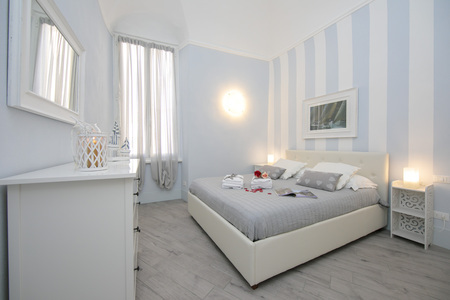 A chic master double bedroom overlooks the vibrant street scene of Alassio, enabling guests to feel immersed within the heart of this picturesque seaside resort. 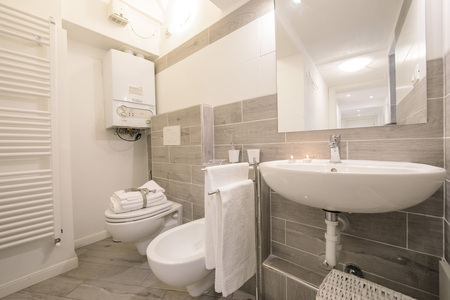 A modern fitted bathroom with walk-in shower, WC and bidet completes the layout of this fashionable holiday apartment. 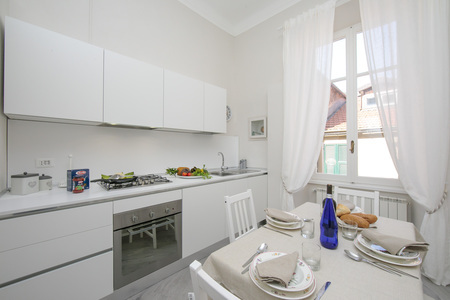 The 4-storey residence is centrally-located and places guests within carefree reach of the restaurants, café bars, shops and the beautiful nearby lido beaches, which are all reachable on foot. Sleeping- Master Bedroom: A stylish and restful double room with wardrobe & an authentic street view below Extra: A double sofa bed for 2 features within the open plan living room Bathroom- Bathroom: A recently fitted contemporary suite with walk-in shower, wash basin, WC & bidet Additional- • SAT TV • Upon request, a portable WiFi device can be hired (a small charge applies) • Central heating • Fan • Washing machine • Pet-friendly • 1 external step • 24 internal steps • Public parking • Car not necessary Location: The holiday apartment is enviably located along ‘Via Vittorio Veneto’, placing guests a 1-minute walk away from the beautiful lido beaches, a throng of authentic resort restaurants, a seafood market, resort gift shops, a patisserie and an Italian gelateria. For those looking to stock up the kitchen cupboards, a modern supermarket is 4 minutes’ walk away. 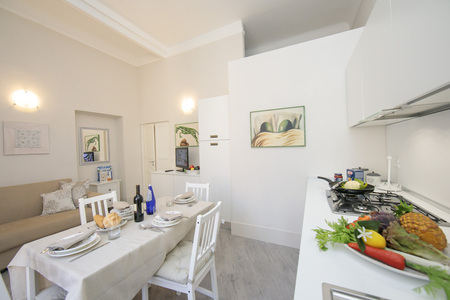 The central location close to Alassio’s amenities and beaches ensures that a car is not necessary for enjoying a holiday here!